In 2013, two childhood friends, having grown up around the culture of fine cigars, sparked an idea for an exciting new brand. United through two unlikely stories of immigrant families from opposite corners of the world and a mutual love of art, we created Fable Cigars with the intent of sharing great stories with each series, encouraging you to share yours and offering artfully crafted smokes to bridge them together.Our journey brought us to the Nica Sueño, RoMa Craft Tobac facility’s in Esteli, Nicaragua, for an unforgettable experience made possible by founders Skip Martin and Mike Rosales. Over the course of one year, we worked closely with master blender Esteban Elias Disla Siri, tested a dozen blends, with forty types of the finest grade tobacco, grown under the best conditions, before finally arriving at two truly premium blends for our first series, Fourth Prime. 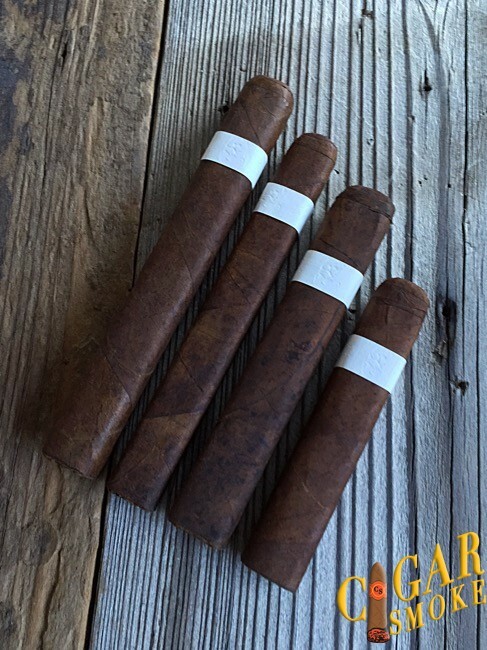 The wait is almost over, our friends from Fable Cigars totally surprised and sent us four samples consisting of each size in the line of the Fourth Prime project. 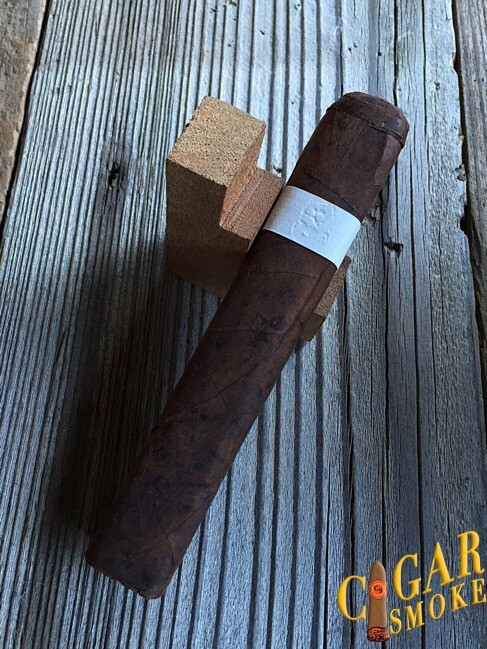 I also asked Mitul Shah a few questions about how the project went and what we could look forward to as far as the release date and what to expect from Fable Cigars. Upon first light there is an immediate flavor of rich dark chocolate and coffee notes, black pepper appeared but did not overpower the subtle sweetness of charred cinnamon and cedar which appeared in the background. In between draws the spicy pepper remained on the palate. What impressed me most, was the long finish of pepper on the tongue ready to subtly blend in with the next draw of chocolate and coffee. The complexity of the flavors had the perfect balance all going on in the first inch. The retro produced intense white pepper that decreased into warm cocoa flavors on the top and back of the palate. Entering cruise control burn the flavors of the Mersenne are hitting on all marks, flavors of extra dark chocolate, coffee, charred cedar and leather lead the way with an intense flavor of peppercorn lingering in between draws. Sweet flavors of charred cinnamon and burnt molasses on the aftertaste with a long spicy finish. The retro is still producing white pepper blasts decreasing to allow nuances of cocoa and sweet dried fruit. Into the final third the chocolate flavors have turned slightly bitter producing more of a raw component relatable to coco bean. Coffee, cedar and black licorice are background flavors. The intensity of black pepper has decreased but has not disappeared, the long spicy flavors continued in between draws adding to the complexity and balance experienced throughout the smoking duration. The retro intensified but quickly decreased allowing sweet nuances of warm coco and raisins. The construction of the Mersenne was flawless and tight, the box pressed Vitola was constructed perfectly. The V-cut created the perfect amount of resistance on the draw that produced thick plumes of grayish white smoke. The burn line was razor sharp and required zero re-lights, while the ash held to the inch point tapped off with ease. The strength of the Mersenne was FULL BODIED and FULL FLAVORED, it produced an array of pepper notes that were haunting, brilliant and intense, however subtle at times but always present that added to the long finish through out the smoking duration. 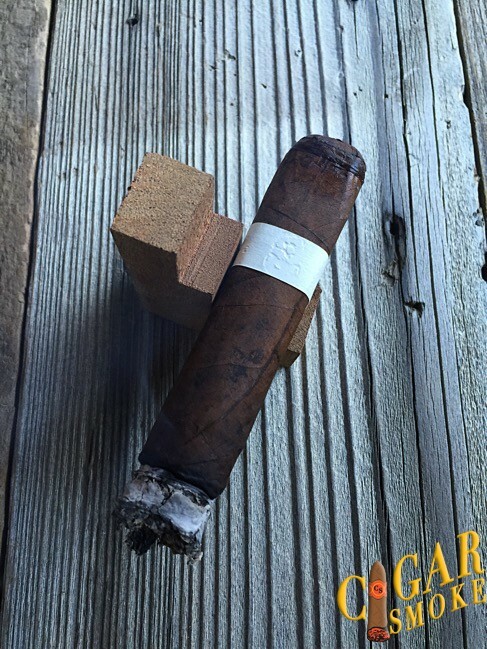 The complexity and balance were very impressive and I’m more than thrilled to have pre-ordered several packs back in August when the project was first announced by our fiends at Fable Cigars.